Wrapping up this year’s venture into Black History Month, we decided to tackle the complex issues of masculinity, femininity, and sexuality. 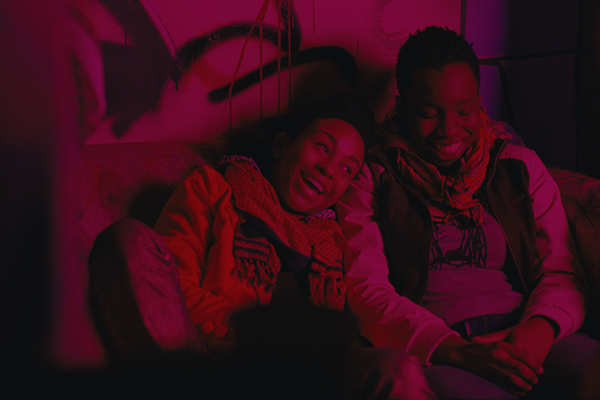 We’re taking a look at Barry Jenkins’ Oscar front-runner Moonlight, and Dee Rees’ powerful Pariah. We discuss the vastly different ways Jenkins and Rees articulate similar issues of identity and sexuality, while Bob looses his mind of Moonlight’s brilliance, and Ariel sings Pariah’s praises. Ariel will be live-tweeting the Oscars this year, so be sure to follow us on Twitter and Facebook. Our (read: Ariel’s) Oscar predictions will go up on Sunday, February 26th for your perusal. Check out Ariel’s Letterboxd lists: Female Screenwriters, Female Directors, Female Directors of Colour, Directors of Colour, Female Directed Horror. And don’t forget to follow us on Instagram as well! Love what we’re doing? Hate what we’re doing? Want us to try something new? Shoot us an email at aframeapartcast@gmail.com. Tune into the show every week on iTunes, SoundCloud, Stitcher, Google Play, and the Pocket Casts app. Like us, follow us, subscribe, and leave us a review wherever possible.